The Texas student charged in the school shooting at Santa Fe High School described planning the attack in private journals, posted photos of weapons on social media and used his father's shotgun and pistol in the rampage that left 10 dead and at least 10 wounded, authorities said Friday. About three weeks before the attack, Dimitrios Pagourtzis, 17, posted a photo to what appears to have been his Instagram account of a knife and a handgun atop a mattress with a profane caption, NBC News reported. A source at Facebook confirmed to NBC News that the company deleted the Instagram account after Friday's shooting, along with the Facebook account apparently belonging to Pagourtzis. Another Instagram post from the deleted account showed arcade game Silent Scope — which allows players to pretend they are a sniper using a controller shaped like a rifle — captioned with a smile emoji. He followed only 13 other Instagram accounts, and eight of them were fan pages for firearms. The others included the official accounts for the White House, President Donald Trump, Ivanka Trump and Melania Trump's official @FLOTUS account. On April 30, Pagourtzis posted to Facebook a photo of a T-shirt spread out on a bed with the slogan "Born to Kill." 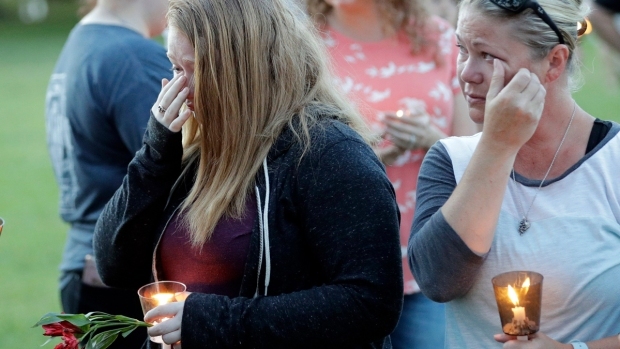 But not all of the suspected killer's social media posts were dark in nature: In a selfie posted May 2, Pagourtzis wore a cap with "pink and purple striped pin that is associated with bisexual pride," NBC News reported. Dimitrios Pagourtzis as seen in this Galveston County Sheriff's Office mugshot on May 18, 2018. 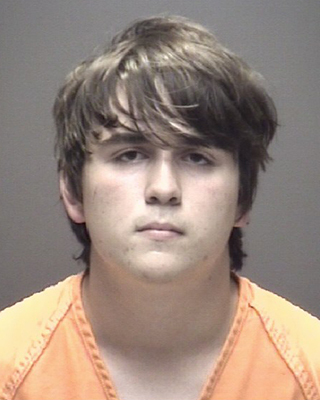 Pagourtzis, 17, was arrested and held without bond for the fatal shooting of 10 people at Santa Fe High School in Santa Fe, Texas. Gov. Greg Abbott said Pagourtzis wrote about planning the attack in journals on his computer and in his cellphone that police obtained. "Not only did he want to commit the shooting but he wanted to commit suicide after the shooting," Abbott said, adding that Pagourtzis told authorities he "didn't have the courage" to take his own life. Pagourtzis made his initial court appearance Friday evening via closed circuit video from the Galveston County Jail. The judge also took Pagourtzis' application for a court-appointed attorney. Pagourtzis did not enter a plea at the hearing. According to an affidavit filed Friday when he was charged with capital murder, he told investigators that he didn't shoot students he liked "so he could have his story told." 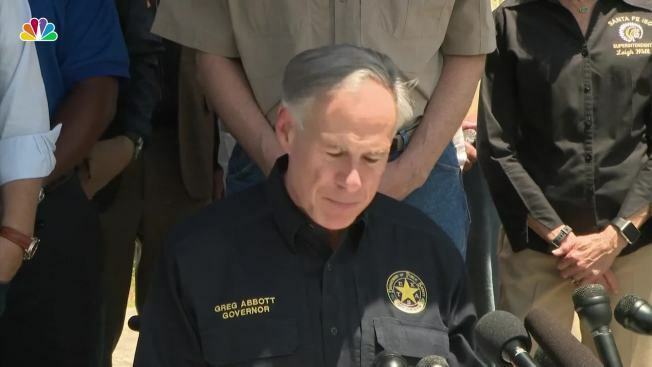 The governor also said explosive devices including a Molotov cocktail had been found in the suspected shooter's home and a vehicle as well as around the school and nearby. Abbott said at a news conference that "unlike Parkland, unlike Sutherland Springs, there were not those types of warning signs." He was referring to the Feb. 14 school shooting in Florida and one in November inside a church in a town near San Antonio. Abbott said the early investigation showed no prior criminal history for Pagourtzis — no arrests and no confrontations with law enforcement. The Facebook profile that included pictures of the "Born to Kill" shirt described Pagourtzis as planning to enter the U.S. Marine Corps next year, but the Marine Corps told The Associated Press it has reviewed its records and found no one by that name as either a recruit or a person in their delayed entry pool. "Please don't call us. Give us our time right now, thank you," she said. Classmates described Pagourtzis as quiet, an avid video game player who routinely wore a black trench coat and black boots to class. He had played football on the school's junior varsity squad and danced as part of a church group. Those who know him expressed shock he might be involved in the killings. Tristen Patterson, a 16-year-old junior at Sante Fe, considered Pagourtzis a friend. He said Pagourtzis was into video games that simulated war, and that he sometimes talked about guns — firearms that he liked or wanted to get. "But he never talked about killing people or anything like that," Patterson said. He said Pagourtzis didn't show signs of being bullied but also rarely talked about himself. In one of their classes, Pagourtzis would sometimes enter the room "acting a little bit down or sad. A little bit sluggish," Patterson said. "But he never talked about why," he said. Father Stelios Sitaras of Assumption of the Virgin Mary Greek Orthodox Church in Galveston, Texas, said he met Pagourtzis when the young man danced with a group as part of an annual festival in October. He said the Pagourtzises are members of a nearby parish. Sitaras said he had never heard of the teen being in any sort of trouble. "He is a quiet boy," the priest said. "You would never think he would do anything like this." Michael Farina, 17, said he grew up with Pagourtzis and would play video games with him. He said Pagourtzis knew a lot about guns and remembered him asking which one he should get when he was older. "I'm kind of dumbfounded. We didn't get any warning," Farina said. He said a black trench coat and black boots was Pagourtzis's regular outfit to school. "I guess you could say it was his kind of style," Farina said. He said he wasn't someone who got into trouble and described him as a "run of the mill" student. Michael Biesecker, Jeff Horwitz and Juan A. Lozano of the Associated Press contributed to this report. Associated Press writers Eric Tucker in Washington, Paul J. Weber in Austin, Texas, and John Mone in Santa Fe, Texas, also contributed.